Congratulations to Piri Roberti who is starting as Communications Officer effective February 2019! The Bargaining Team is planning for our next round of bargaining, and they face the daunting task of being representatives for all of us. Many of the Bargaining team are based in Guelph so they are not always aware of what is going on in the rest of the organization. Please tell the Bargaining team what your needs are by clicking here to request access to the link. The information collected from Demand Set survey is confidential. On Tuesday October 16th, a grievance filed by J. Beckett, a member of our Local 291, was heard at arbitration. The grievance centred around Ms. Beckett being prevented by our employer from applying for a posted position. Article 16.04 states "Any employee who has successfully bid under this Article will not be considered for another posted job before six (6) months from the date of a successful bid." In dispute was the definition of "successful bid". The employer interpreted "successful bid"as the date an employee started working in their current position. Ms. Beckett's (and that of the Local Union's) interpretation was the date the employee accepted the offer of the position. Arbitrator Goodfellow ruled that the employer's interpretation of the language was wrong and ruled in favour of Ms. Beckett and the Local Union. To read the full text of Arbitrator Goodfellow's award, click here. Please note that the language of Article 16.04 was amended in the recent round of collective bargaining, subsequent to the filing of the grievance. In addition we welcomed 6 new stewards! Please join me in welcoming Halla Shaker, Carolina Hepfner, Tim Frey, Lesley Campbell, Carmen Chui, and J. Beckett! Two very important roles to the financial health and wellbeing of the local are that of Trustee. Cheryl Van Every and Kim Ackerman will serve in these positions for the next two years - Thank You Both! Merrilynn Downey regretfully resigned her position with the Labour Management Committee and Lesley Campbell was elected as the fourth member, joining Stephanie Jenkins-Moss, Susan Kilpatrick, and myself (Julie). Curious what this committee is all about? Check it out on the Orchard (minutes and terms of reference can all be found there). And of course, let's mobilize behind our Bargaining Team! I am delighted to announce that joining me on the team is Stephanie Jenkins-Moss, J. Beckett, Shannon Tobin, and Piri Robert; and our two alternates are Tracy Dupuis and Tim Frey. Over the next few months, the team will be meeting to design the demand set survey and then distributing it. WE NEED TO HEAR FROM EVERY SINGLE MEMBER! Please take time to complete and return the survey so we ensure we're fighting for your priorities at the table. After we collect the data from the surveys we'll hold a demand set meeting where you, the membership, will vote on the top priorities for the upcoming negotiations. The team will then take some time to do some training and planning before meeting with the Employer. Let's Stand Together for One Another!!! I have one more thing to share - I've got an Instagram account! Please follow me at opseu_local291_president and stay up to date on what's happening. (**Please Note: this is a public account**). I cannot wait to attend and look forward to sharing the day with you. Trauma Services of Southwestern Ontario will present a one day training providing front-line and first responders with information on how to recognize and respond to work related traumatic stress. The training provides an overview of work related traumatic stress/PTSD, impact on the brain, symptoms, and resources for prevention and intervention. With first hand knowledge of and experience with the services provided by the members of Local 291, the training is sure to be uniquely applicable to each member. An important meeting is on the horizon. The 2-year term for our current executive is nearly up. To allow for transition time, we're holding the elections for these positions at our next GMM. As you know, the executive positions are: President, Vice-President, Secretary, Treasurer, Chief Steward, and Communications Officer. To stand for one of these positions, you must be a steward. And GOOD NEWS!!! We'll have an open call for stewards prior to the elections so you can stand and volunteer to be a steward. In addition to these executive positions, we will also be electing our Sargent-At-Arms and Trustees for the next two years. Anyone can stand for these positions (except that Trustees cannot hold any other office in the Local). ​Then once those positions are filled we will move on to the bargaining team. Our Collective Agreement is up again this coming March 31, 2019 and so it is time to select our Bargaining Team. The team consists of 5 members and we also elect 2 alternates in the event a member of the team is unable to remain throughout the entire process. Actively listen to views different from your own; participate in constructive debate to build consensus. Help address conflicts that arise. A training is provided to the bargaining team, and all are welcome to stand for election to this crucial role. We know your schedules are full and attending meetings can be difficult. If you want to stand for one of these positions but can't attend the September 19th meeting, you can use the nomination form. Also, if you know someone who would be excellent in one of these positions and they can't attend, you can also use the nomination form. Both the person being nominated, and the person doing the nomination have to sign the form and it needs to be at the meeting before it starts at 6pm for the nomination to be included. Once the form is complete and signed, you can email it to info@opseulocal291.com and we'll ensure your nomination is put to the floor. Every vote truly matters. And your voice is important and needs to be heard. Diversity of opinions, ideas, and perspectives makes the leadership of the Local stronger and better. And that diversity is critical to effectively representing the entire membership at the bargaining table. We need you - to engage, to challenge, and above all to participate. ​See you at 6pm on Wednesday September 19th. Since a file was opened at the Pay Equity Commission a few months ago, the Review Officer has had a conference call with the Local and the employer. The Review Officer has directed our next steps. Based on her feedback, representatives from the employer and the Union will meeting to identify and discuss issues in dispute and suggest resolutions. ​We will continue updates as we move forward. If you have any questions, please don’t hesitate to contact your pay equity committee. After many days of intense bargaining, your elected committee has concluded negotiations and come to a tentative agreement. Your bargaining team is recommending ratification. We are working hard on preparing the document to release to all members no later than March 28th. The information should be released to all members at the same time, and we therefore ask members to respect the fact that the bargaining team members will not be able to release specific details about the agreement until the document has been sent to all members. Watch your email and the OPSEU page on the Orchard for updates. 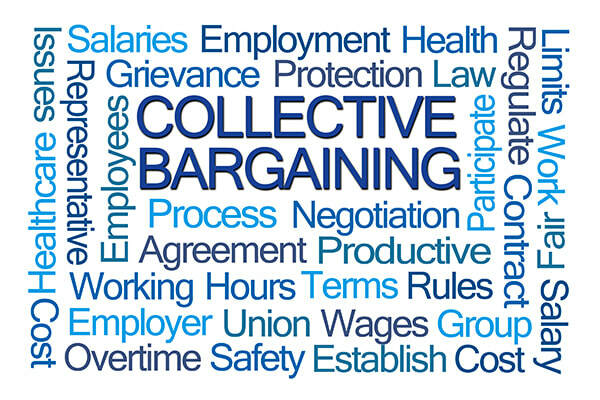 We will hold a membership meeting on Wednesday April 4th from 6pm-7pm at the Hanlon Convention Centre (340 Woodlawn Rd W, Guelph) during which your bargaining team will provide a presentation to review the highlights of the tentative agreement and allow some time to answer questions. The ballot box will be open 6pm-9pm that evening for voting at the meeting site. The ballot box will also be available for members to vote from 7am-10am on the same day, Wednesday April 4th at the Guelph Regional Office at 400 Speedvale Ave W, Guelph. Members of the bargaining team will be available while voting is open to answer questions you may have. Thank you for your continued support through this process. As always we Stand Together for One Another. Another successful, engaging, and spirited GMM! Thank you to all who came out, participated in the elections, and engaged in wonderful discourse on the issues of the Local. And a special thank you to members who agreed to stand for positions. It's crucial to the work of the Local to have volunteers willing to participate and I thank each and every one of you. In particular, I'd like to welcome Teresa Wehrle as a new steward! I'm sure you're curious to learn about the outcome of the elections. I am absolutely thrilled to announce that Stephanie Jenkins-Moss is now the Local's Vice-President. In her role as Chief Steward, Stephanie has been very involved in the workings of the Local, grievances, and meetings with management. I am delighted to have Stephanie as a partner in holding management accountable to the Collective Agreement. Stephanie's new role leaves the Chief Steward position vacant. Here's a list of the roles and responsibilities of the position. Which steward do you think would be great at this job? Talk to them and encourage them to run at the next GMM. One of our two trustees, Nadine Vertes is resigning as trustee as of March 31st. Nadine, thank you for your service to the Local. The audit of the Local's financials is fundamental to fiscal responsibility and I thank you for stepping up and completing this. I'm also happy to announce that Cheryl Van Every joins Julie Bergwerff as our second trustee. Thanks Cheryl! Our Pay Equity team was in need of a new member and an alternate, as Luis Quinteros resigned from the committee last year (making the alternate a full member of the team) and Eileen Kilbride left the organization at the end of 2017. Keehan Koorn was elected as the newest member of the PE team and Susan Kilpatrick as the alternate. On behalf of the team (Shannon Tobin, Ruth Linnen and myself), I offer a warm welcome to you both. I think the membership has chosen very wisely and look forward to the perspective, experience and wisdom you bring. If you're still curious about convention, you can read about it on OPSEU's website here. With the number of signed members we currently have, Local 291 sends two delegates to convention and can send an alternate for each delegate. According to OPSEU's constitution, the Local President is an Automatic Delegate, leaving the second delegate to be elected (as well as two alternates). Kristin Tokarsky was elected as the Local's second delegate, and Stephanie Jenkins-Moss and Piri Roberti as first and second alternate respectively. It's going to be a great few days participating in the governance of the union. Communications Officer, Keehan Koorn announced that a survey about accommodations in the workplace will soon be sent to your personal email. The LEC is looking to gather information about how many of our members have asked for accommodations and have been accommodated, or refused. This survey will be confidential and no information provided in the survey will be acted upon; this is simply information gathering from a numbers perspective. Accommodations in the workplace are based on the grounds of the Human Rights Code and the employer has a duty to accommodate up to undue hardship. Accommodation must be fully explored, and the union should be a part of those meetings as the employer and the union have a joint duty to make sure that workplaces are free of discrimination and harassment. I would encourage every member that requires any kind of accommodation at work to contact a steward for support and information to ensure your rights are honoured. We appreciate you taking the time to complete and submit the survey and ask that you encourage others to do the same. The more we know, the better we can support and represent our entire membership. I neglected in my president's report to discuss two important OPSEU conferences that are occurring this year and so want to mention them now. The second conference coming up is the Young Workers' Conference. Held in Toronto August 10-12, the theme will be "Back to Basics: Your Young Worker Guide". In OPSEU, young workers are those 35 and younger. Keep on eye on the webpage for more information, and on your inbox for the application forms to be sent out likely in April. ​In closing, I want to repeat yet again how grateful the bargaining team is for all of your support, your cards, your messages and emails, your blue-wearing and bracelet-wearing. With your vocal support, we continue to represent your demands at the table. Our next dates are March 5th, 6th, and 8th and we can't wait to see all the pictures and tweets of you showing your solidarity as we Stand Together for One Another! It is an honour and a privilege to represent you and I thank you. This message is to provide you with an update on the most recent events influencing the development of a pay equity plan for CMHA WW and OPSEU Local 291. The joint job evaluation committee, [Union and Employer representatives], has completed evaluating each male and female job class job information questionnaire. This is where our well-intended efforts have ended in a dispute. When there are disputes between the parties, either party may file a formal complaint through the Pay Equity Commission. The complaint would include a claim that there has been a violation of the Pay Equity Act. A Review Officer from the Pay Equity Commission would then be assigned to investigate the dispute between the parties, and determine if there are violations of the Act. CMHA WW has filed an application with the Pay Equity Commission of Ontario, Review Services, and a review officer has been assigned. A review officer will respond to the applicant (CMHA WW) and advise the representative Union, in this case OPSEU [when the employees are members of a Union] that an application has been filed. OPSEU is now known as the “respondents” to the application. As with all pay equity litigation, OPSEU assigns outside legal counsel to respond to review services, and the employer. We have been advised by OPSEU head office that we are in good hands and look forward to working with the staff assigned and moving forward to complete a pay equity plan for Local 291. Legal counsel is working hard to prepare a response to the employer’s application to review services. This is done in the form of a “legal brief”, or “submission”. Legal counsel will file the Union’s response to the review officer and follow-up as necessary. All timelines are dictated by the review officer. We will continue updates as we move forward. If you have any questions, please don’t hesitate to contact a member of your pay equity committee.